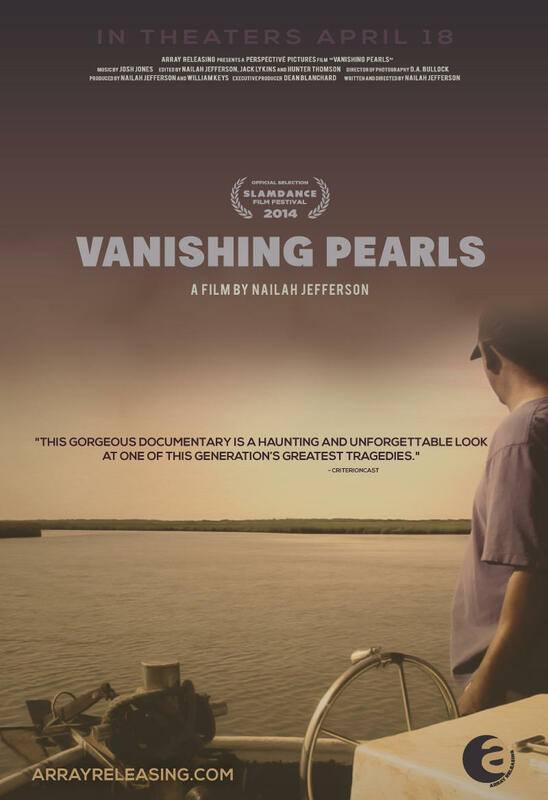 WCLK partner BronzeLens Film Festival (BronzeLens) will host the Atlanta Premiere of Nailah Jefferson’s directorial debut documentary VANISHING PEARLS 7:00 PM, Saturday April 26 at the Morehouse College Walter E. Massey Leadership Center-Bank of America Auditorium. Jefferson’s film chronicles the untold story of personal and professional devastation following the 2010 oil spill in Pointe a la Hache, a close-knit fishing village on the Gulf coast. The filmmaker delves into the worst environmental disaster in American history just as news cameras leave the scene of the crime. While 49 million barrels of oil settle in the once vibrant coastal waters, a community of African-American fishermen generations-old pledge to fight for justice, accountability and their way of life. Nailah Jefferson sat in for a conversation about this film and the ongoing tragedy of the BP Deepwater Horizon oil spill. For more information about this film you can click here. BronzeLens is partnering with the Morehouse College Department of Cinema, Television and Emerging Media Studies (CTEMS) and with the following environmental organizations, West Atlanta Watershed Alliance and the Eco Review to host the Atlanta Premiere of VANISHING PEARLS. Tickets for VANISHING PEARLS are $10 general admission; Free for Atlanta University Center (AUC) students with current 2014 ID; and $5 for students with current 2014 ID. Click here for more information on attending the premiere.